Summer Snowflake bulbs (leucojum aestivum) from Wildflowers UK. Summer Snowflake Bulbs can be ordered at any time of year but will only be dispatched between October and November whilst bulbs are fully dormant. If possible please ensure orders reach us before mid-September, to ensure autumn dispatch. 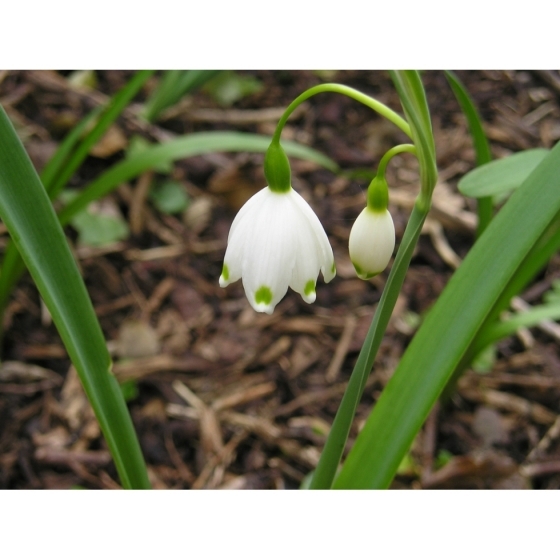 Summer Snowflake bulbs -leucojum aestivum is an elegant plant with white nodding flowers that are edged with green. . The flowers are in fact very similar to snowdrops but carried on longer stems and, as the name suggests, appear later in the year. Summer Snowflake bulbs will establish best on damp boggy soils and can be grown in a bog garden or around the edge of a wildlife pool. Summer Snowflakes look best growing alongside other spring flowering wetland meadow plants such as Marsh Marigolds, Cuckooflower and Snakeshead fritillaries. 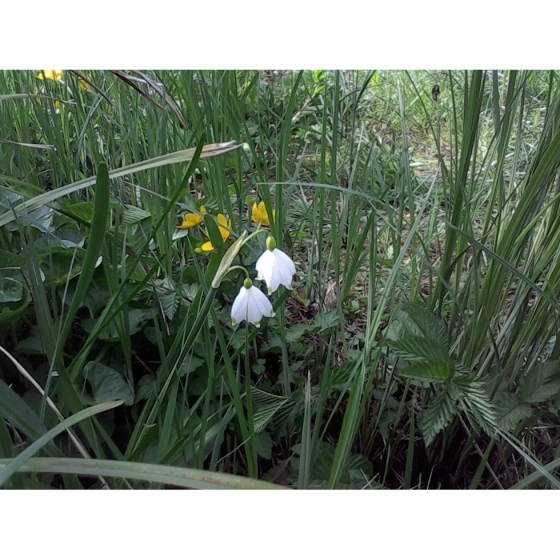 An alternative name for Summer Snowflake is the Loddon Lily. Summer Snowflake bulbs can be introduced to their permanent planting positions in October and November. If the weather prevents planting, then bulbs should be stored in a dry, cool shady place until things improve. Stored carefully in this way, Summer Snowflake bulbs should keep for at least a week or longer. A hole approximately 3 times the length of the bulb is required when planting. If the soil is especially heavy then the addition of a little sand can help. Summer Snowflake bulbs will establish more readily if a very damp soil can be found in a sunny or shady position. Bulbs can be lifted and divided in later years.